Malabar Institute of Technology, ISO 9001-2008 certified,an integrated campus situated in the 250 acres of lush green cinnamon belt at Anjarakandy, houses premium educational institutions, Super Specialty Hospital, Kannur Medical College,Dental College, College of Nursing, College of Pharmacy, Institute of Paramedical Sciences and Institute of Engineering & Technology. The College Management has chosen this backward area for establishing the college with the Aim of sharing the responsibility of uplifting the people of the area by making Technical Education affordable and within reach. The Management has no motive of making profit from the College, but aims at creating a centre of excellence in Engineering Technology. It has been our goal right from the inception to nurture a bright future for the generations to come. With united efforts of our intellectuals and professionals, we are surely marching towards that destination. 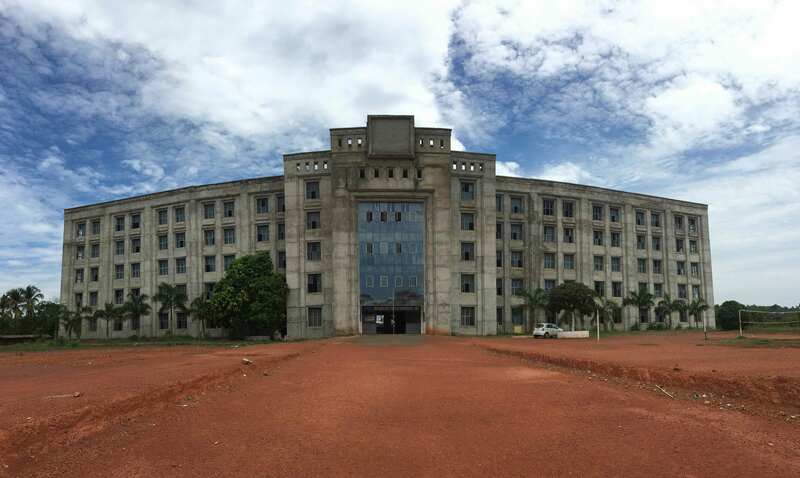 The campus is located at the western tip of the Malabar Cost, Kannur District, State of Kerala, bordering with Karnataka-Kerala High way, MAHE (districts of Pondicherry State), Kasaragod and Wayanad and is in close proximity of major cities of Kannur, Thalassery, Koothuparamba, and Mahe. The campus spans an area of 218 Acres of single piece of lush green single plot of contiguous landed property at Anjarakandy, Kannur District, located just 10 km from the upcoming Kannur Airport, 15 km each from two Railway stations/ major cities of Thalassery& Kannur and is serviced by all forms of Public Transport. A fresh water river flows through the main campus to the east, Kannur Airport to the north-west, highway to the north. This represents the location of the administrative and educational core of the Malabar Institute of Technology, Anjarakandy, Kannur District. The history of the proposed land dates back to 1877, formerly owned by East India Company and is the first registered landed property in Kerala (See Kerala Government web site for Land Register) with a bungalow built in 1897 is being renovated to its old glory. Anjarakandy Cinnamon Estate is one of the largest in Asia, the estate was established in 1767 by the East India Company. Originally the Anjarakandy Cinnamon Estate was a mixed plantation of cinnamon, pepper, cloves, nutmeg and other spices but today it specializes in cinnamon and the oil that is extracted.Visitors to Anjarakandy Cinnamon Estate can watch the process for preparing the cinnamon spice and extracting the oil for perfume. Engineering & Technology Campus was established in 2010 and offers degree courses in Civil, Mechanical, Electrical, Electronics, and Computer Science Engineering. M.Tech courses are available in Computer Science and Electronics branch. All courses are approved by AICTE (All India Council for Technical Education) and State Government. The Engineering College (Malabar Institute of Technology) is affiliated to Kannur University. All Institutions are independent even though they are coordinated by a centralized administrative set up. Anjarakandy Integrated Campus (AIC) takes pride in being the youngest conglomerate of science and technology institutions with many scientific projects of national and international standards on the anvil. From its inception, AIC has set before it an ideal of excellence in academic field as well as service to society. As a result of this, it has truly become holistic both in its outlook and in its approach to the issues of professional education and health care.